While there is still a long-way for Irish abortion-law to travel, but the Irish Government has chosen an honorable course. reland has a long history of being anti-colonial – having been a British colony and paid a price for the privilege of being a British colony. Like India, famine, death, oppression – the standard ingredients of colonialism were visited on Ireland, also. India-Ireland nations go back some time. For instance, India legitimized the Irish Constitution when the Indian Constitution adopted the idea of Directive Principles of State Policy from the Irish Constitution. While many in Indian media had doubts about Irish intentions, 2ndlook decided to reserve opinion. Unlike other cases of expat-Indian /NRI persecution, in the Savita Halappanavar case, there were no tweets, or posts by 2ndlook. While there is still a long-way to travel, but the Irish Government has chosen an honorable course. Ireland’s abortion laws are the strictest in Europe and any proposed legislation to decriminalise abortion will stoke furious debate in Ireland, which remains a staunchly Roman Catholic country. via Ireland to legalise abortion – Telegraph. Savita Halappanavar, 31, originally from India, was 17 weeks pregnant when she developed back pain and tests revealed that she would lose her baby. The Indian ambassador to Ireland, Debashish Chakravarti, has taken the concerns of his country about the death to the Irish government and said that he hopes measures will be put in place to prevent similar incidents occurring in the future. He told the RTÉ, Ireland’s national broadcaster, that her death, which happened last month, was of “deep regret to the Indian people” and that he hoped the inquiry into the circumstances of the tragedy, would be conducted carefully but quickly. He added that that the death was being taken with “great seriousness” in India and there was a lot of pain felt by the Irish Indian community. According to the Irish Times, Mr Chakravarti refused to be comment on what the tragic incident said about Ireland as a state. An inquiry into the death is being led by Ireland’s Health Service Executive’s (HSE) directof of quality and patient safety, Philip Crowley. James Reilly, Ireland’s health minister, has also sought a report on the circumstances surrounding the tragedy and Galway University Hospital prepared to launch its own investigation. via India confronts Irish government over woman denied abortion – Telegraph. There will be strong opposition to this – apart from the Church. Other Western nations will try their best ensure that the Indian Government does not get any credit – for something the European Court of Justice and the Irish Supreme Court could not do. The Irish government has announced that it’s going to repeal existing legislation that makes an abortion a criminal offense and introduce regulations that say a doctor can perform an abortion if a woman’s life is regarded as being “at risk” – including if she’s “suicidal”. The semantics of “suicidal” are suspicious. This could turn in to the old “risk to the woman’s health” formula that many countries use and is vague enough to allow abortion on demand. Whatever the result, this is a watershed moment for Ireland. Its political establishment has distanced itself from the country’s Catholic heritage and from the pro-life tradition. Taoiseach Enda Kenny fancies himself as a new Luther. A few immediate observations. First, the catalyst for this reform was the story of Savita Halappanavar, a woman who went to hospital suffering from a miscarriage, was denied a termination, and later died. Pro-abortion campaigners have used her case to claim that Ireland’s laws kill – that the refusal of an abortion on the grounds of Catholic chauvinism led directly to her passing. But the facts of the case are not that certain. Ireland does theoretically allow abortion under certain cases when the mother’s life is at risk, and it’s not even clear that a termination would have saved Savita’s life. Worryingly, pro-abortion activists had access to the details of her case before they were released by the press. It smacks of politicising a tragedy for the sake of change – and it seems to have worked. Any credible opposition will come not from within the Dail but from outside, from the Catholic Church and the large (and rather youthful) pro-life lobby. And so, for the first time in a very long time, we’re set for a serious war between Ireland’s political establishment and its dwindling Catholic faithful. via Ireland is gearing up for a war between Church and state over abortion – Telegraph Blogs. Another voice of darkness chimes in with her political baggage. It took the death of a young mother-to-be to rip up the Irish abortion law. Savita Halappanavar was pregnant and suffering a miscarriage. I’m a Catholic but I believe abortion has to be legal. Yes, it is a sin; and yes, there are women who use it as contraception. But the risk of having a long roll call of tragic deaths like Savita’s is too cruel to contemplate. Like divorce, abortion should be available, but reserved as a last-resort nuclear option – and when the mother’s life is in danger is precisely such a scenario. The Irish U-turn over Savita’s death worries me, though. Is this the right result based on the wrong premise? I can’t help wondering whether Savita’s tragedy has been used to manipulate public opinion. This does not make her fate any less tragic; it does however raise questions about campaigners blinded by pro-abortion fervour. via Is Ireland’s abortion U-turn based on a mistake? – Telegraph Blogs. Between now and Easter is a long time. The Irish Government will face tremendous pressure in the West. Not based on merits – but on politics. Remember this law is not being changed due to the death of an American woman; or a British citizen. Change in Irish law due to death of a Franco-German tourist could have been acceptable. How can a Western country, part of EU change laws at the behest of the Indian Government? Due to the death of an Indian women? But this case may turn out to be like South Africa’s apartheid, where the Indian Government forced a reluctant West to accept sanctions against S.Africa. The global boycott, led by India, made the end of apartheid possible. After thirty years, India has made it possible to end oppressive Church laws. Full marks to the Irish and Indian governments. how about india itself? where a 20 wk old foetus can be simply killed off/aborted legally-no questions asked. it remains plain murder .savita’s case was one of poor medical judgement.though the miscarriage was certain,the doctor chose to delay the perfectly legal(even in ireland) abortion. The 2ndlook blogs group try to give its readers a 360° view of the past present and probable outcomes. These four blogs have each a different focus. The common value that runs through these blogs is an invite to readers for discussion and participation - with a proviso of no personal attacks or use of invective. With a focus on history, long-term trends, economy, political and social models. A blog that works to breakdown propaganda for what it is. The first blog of the group, over the four years of its existence, it has managed a monthly traffic of more than 10,000 hits. Exciting new series. From 1 Mar, 2010. 10 posts. More than 50 photographs. 100 links to the best original sources and writers. 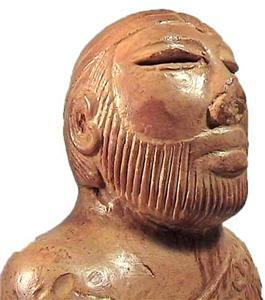 Get a 2ndlook at the 'Indus Valley Civilization' research. On military, defence, currency, travel, political systems. Cutting edge discoveries. With research from more than 200 news items, journals and books. Without the politics, with insight.